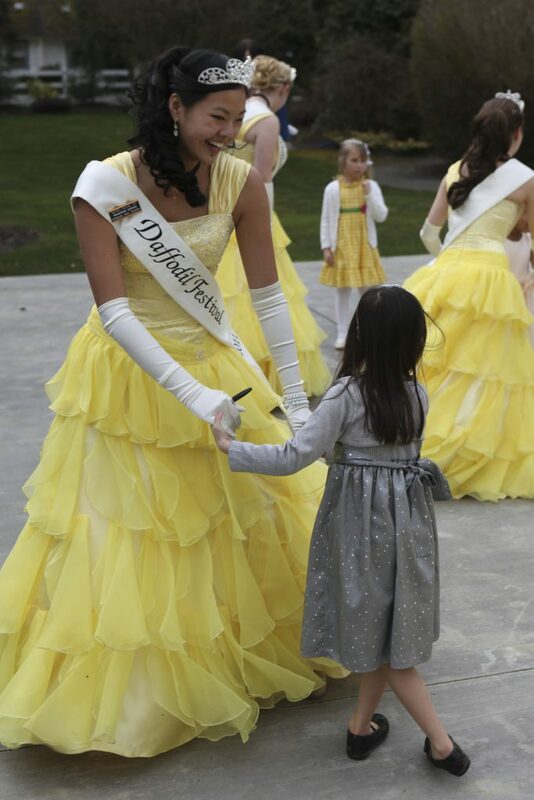 The Princess Tea is an annual event where the 23 Daffodil Princesses welcome all of their little Princesses-in-Training to Pierce County’s beautiful Laurel Creek Manor. While the event was made with primarily little Princesses in mind, Moms and Grandmas are invited, as well, to meet and mingle with the Royal Court. Enjoy a tea party with food and favors, including a real tiara, posters, and fun for each child attending. An afternoon to remember, complete with fun, gifts, and, of course, plenty of dancing, bring your camera and have a great time with your Princess-in-Training! The setting is in the beautiful surrounding of Laurel Creek Manor. The tea is outside and under a large tent. Please dress accordingly. Each Princess Tea will last 90 minutes, and doors open 20 minutes prior to each seating.